These Classic Collection pocket squares are the perfect finishing touch to any formal look. 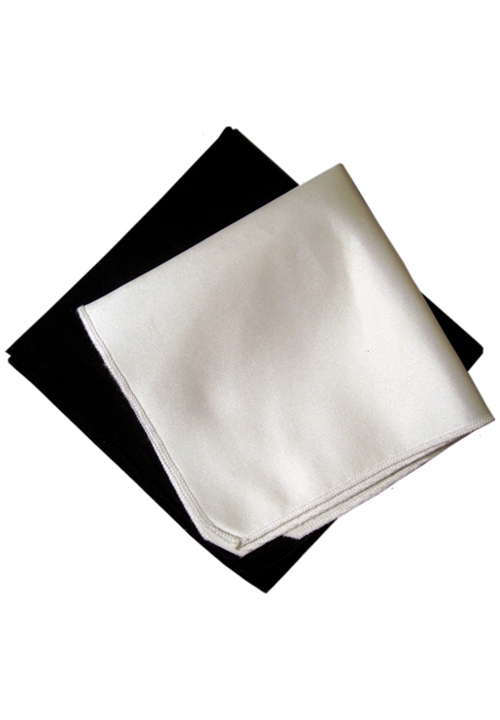 Available in both Black and white, these traditional Poly/Satin pocket squares are designed to be partially visible from the front top pocket of most formal coats. These pocket squares are available 'New' Here.